Many diseases, including pancreatitis benign tumors and cancer, may require pancreas surgery. Pancreatic resection can lead to a prolonged survival in pancreatic cancer and even a potential chance for cure. 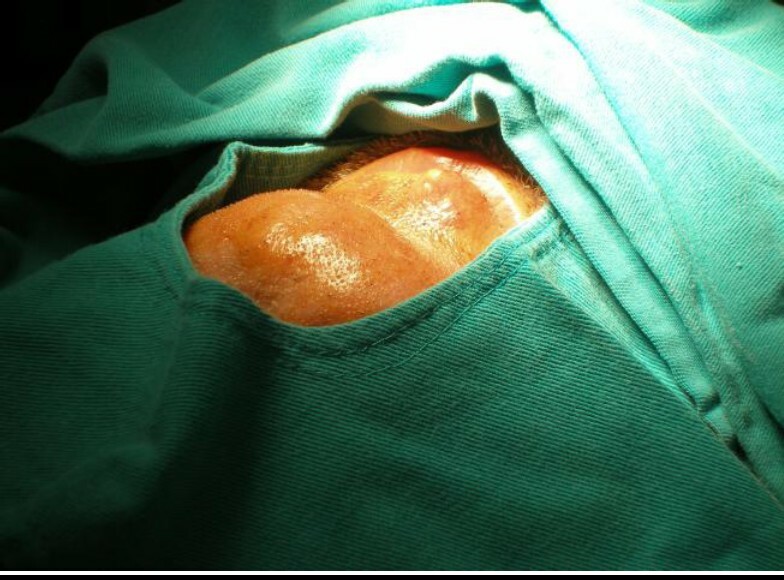 However, the pancreatic surgery can result in complications, and high postoperative morbidity rates are still presence. This article reviews the pancreatic abstracts of American Pancreas Club 2011, which involves the more common complications, their prevention and treatment. The lower lip is a very rare emerging site for pleomorphic adenoma. The present review is to accentuate the definition, frequency, clinical and histopathological features, differential diagnosis, prognosis, and treatment choices of pleomorphic adenoma. We reviewed the English-language literature addressing pleomorphic adenoma of the lower lip. The tumors of minor salivary glands are not frequent among whole salivary glands tumors. Pleomorphic adenoma is the most common neoplasm among the minor salivary glands. A wide excision is recommended if there is no cosmetic care and no risk of damage to the functional structures of head and neck. Malignancy of the minor salivary glands are not rare. In addition, malignant transformation of pleomorphic adenoma involved in the benign tumors of minor salivary glands are possible. Thus, awareness of the possibility of existence of a pleomorphic adenoma or a malignant tumor within a mass located on the lower lip has a mentionable importance. Background : Hypertension continues to be a major causative factor contributing to cardiovascular, cerebrovascular and renal morbidity and mortality. Aim : The objective of this study was to assess the prevalence, awareness and control of hypertension in the estate population in Johor, Malaysia. Patients and Methods : A mercury sphygmomanometer was used to record systolic and diastolic blood pressures. Cross sectional population survey was carried out in the study. Results: The overall prevalence of hypertension in 903 subjects studied was 26.91% (243). 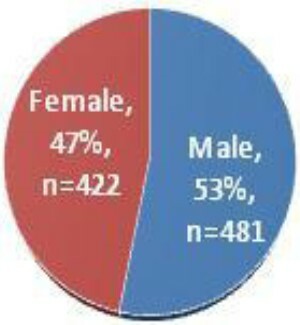 A higher prevalence 27.65 % (133) was found in males against 26.07% (110) in females. Awareness of the disease was present in only 39% (96) of which 86.45% (83) received treatment. Among those who received treatment, control of hypertension was present in 15.66% (13). Conclusion : The prevalence of hypertension among the estate population is lower than that of the general population of Malaysia, which can be attributed to their regular physical activity but the awareness, treatment, control and follow-up of patients is disappointingly low. Background : Jaundice is a common problem during the neonatal period. About 60% of the full term and 80% of premature infants develop jaundice. It can be associated with serious illnesses such as Urinary tract infections. Aims : The aim of this study is to evaluate the incidence and prevalence of urinary tract infection in newborns with indirect hyperbilirubinemia and to find a relationship with prolonged jaundice. Patients and Methods : We retrospectively evaluated asymptomatic, jaundiced neonates for evidence of a urinary tract infection. Data reviewed including demographic and historical data were included with data of blood studies, radiological evaluation and treatment. Results : 32 neonates of 152 cases had urinary tract infection. Most commonly isolated organisms were Klebsiella and Escherishia coli. 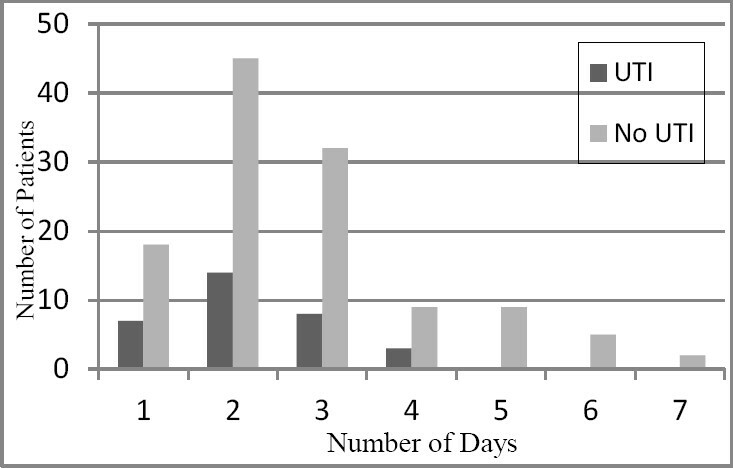 Maximum duration of phototherapy was 4 days in the urinary tract infection group versus 7 in the non-urinary tract infection group. Intensive phototherapy was used in 18.7% in the urinary tract infection group versus 29.16% in the non-urinary tract infection group. None of the newborns in the urinary tract infection group underwent exchange transfusion therapy. Conclusion : Urinary tract infection can occur in asymptomatic, jaundiced newborns. Thus, it may be the first in these babies before other signs become evident. Background: Human immunodeficiency virus (HIV) prevalence is high among rural dwellers and pregnant women. Aims: This study aims to determine the prevalence of HIV and anemia among pregnant women attending antenatal clinic in rural community of Okada, Edo State, Nigeria. Patients and Methods: Anticoagulated blood and sera samples were obtained from 480 women consisting of 292 pregnant and 188 non-pregnant women. Antibodies to HIV were detected in the sera samples and hemoglobin concentration of the anticoagulated blood specimens were determined using standard techniques. Anemia was defined as hemoglobin concentration <11g/dl for pregnant women and <12g/dl for non-pregnant women. Results: Pregnancy was not a risk factor for acquiring HIV infection (pregnant vs. non-pregnant: 10.2% vs. 13.8%; OR=0.713, 95% CI=0.407, 1.259, P = 0.247). The prevalence of HIV was significantly (P = 0.005 and P = 0.025) higher in the age group 10-20 years and 21 - 30 years among pregnant and non-pregnant women respectively. Pregnancy was a risk factor for acquiring anemia (OR=1.717, 95% CI=1.179, 2.500, P = 0.006). Only the age of pregnant women significantly (P = 0.004) affected the prevalence of anemia inversely. Conclusion: The prevalence of HIV and anemia among pregnant women were 10.2% and 49.3% respectively. Pregnancy was associated with anemia. Interventions by appropriate agencies are advocated to reduce associated sequelae. Background: The prevalence of obesity and overweight in the Unites States has reached unprecedented levels, and so has the need for effective exercise and nutritional programs for prevention of unhealthy weight gain or safe weight loss. 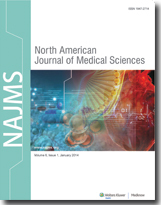 Aims: The present study was conducted in overweight men and women to assess the impact of noni-based nutritional supplementation and exercise interventions on body composition. 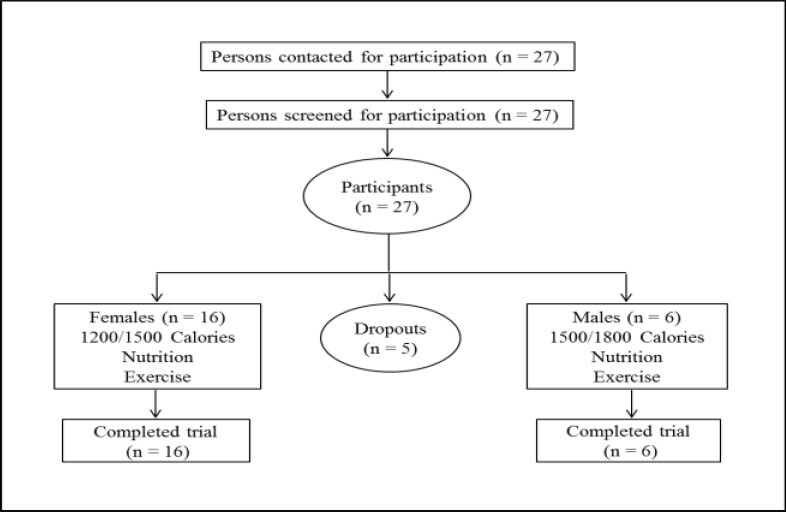 Materials and Methods: Twenty two participants (16 women and 6 men), ages 18-65, were enrolled in a 12-week, open-label trial of a weight-loss program involving noni-based dietary supplements, gender-specific daily calorie restriction, and exercise interventions. Weight, percent body fat, and body mass index were measured before and after the trial. Results: All participants experienced weight loss. The average decrease in fat mass was highly significant (P < 0.0001), as were decreases in percent body fat and body mass index. Individual weight and fat mass losses were 17.55 ± 9.73 and 21.78 ± 8.34 lbs., respectively, and individual percent body fat and body mass index decreases were 8.91 ± 3.58 % and 2.6 ± 1.32, respectively. Conclusion: The nutritional and exercise interventions significantly influenced body composition among participants. Background: The occurrence of the different types of Extended spectrum beta Lactamase producing Escherichia coli with the, Sulphurhydryl variable, Temonera and the Cefotaximase have been on the rise Aim: The study was to determine the prevalence of extended spectrum beta lactamase gene resistance across the clinical isolates of hospitalized patients. Materials and Method: Three hundred and fifty isolates of Escherichia coli were received from different clinical specimens. The susceptibility profile of the isolates against 10 different antibiotics was examined, the MICs (Minimum Inhibitory Concentration) for ceftazidime were also determined using micro-broth dilution assay. Isolates showing MIC ≥ 6 μg/ml for ceftazidime were screened for ESBL (PCT)phenotypic confirmatory test and subjected to PCR (polymerase chain reaction) to further. Results: By disk diffusion test, there was resistance to ceftazidime and cefotaxime were 180(51.4%) and 120 (34.2%) respectively. However, all strains were susceptible to imipenem. 250 isolates showed MICs≥ 6 μg/ml for ceftazidime of which 180 (72%) were positive for extended spectrum beta lactamase. The prevalence of Sulphurhydryl variable, Temonera and the Cefotaximase among these isolates were 17.1%, 6.6% and 17%, respectively. Conclusion: For the identification of extended spectrum beta lactamase producing isolates it is recommended that clinical laboratories adopt simple test based on Cinical laboratory standard institute recommendation for confirming extended spectrum beta lactamase production in enterobacteriacea species. Background: The current rise of male infertility associated with bacterospermia and urogenital infection has been on the increase amongst adult married males in Benin metropolis and a major cause of concern to male fertility and reproduction in Nigeria. Aim: To microbiologically isolate and study the infectious agent that has led to male infertility and also to study the percentage occurrence of bacteropsermia and urogenital caused infertility in adult married males in Benin metropolis Material and Method: using standard microbiological methods of isolating and identifying the organism, specimen was collected and processed which includes the susceptibility profile of isolates and sperm quality. In this study a total of 140 sperm samples was collected from patient who were referred from the consultant outpatient department of the University of Benin Teaching Hospital and then evaluated bacteriologically using standard bacterial cultural methods Results: Among the total cases, 92 (65.7%) showed at least one pathogen. Staphylococcus aureus (28.3%), Staphylococcus Saprophyticus (13.0%), Pseudomonas aerouginosa (6.5%), Escherichia Coli (19.6%) Proteus mirabilis (10.8%) Klebsiella spp (10.8%) and Proteus vulgaris (10.8%). Conclusion: There was an outstanding significant relationship between bacteriospermia and the rate of total motility and morphologically abnormal sperms, The percentage of morphologically normal sperm was lower in this study. Staphylococcus aureus Staphylococcus saprohyticus and Escherichia coli were the most common pathogen having negative effects on sperm motility and morphology in this study. Background : Bacterial DNA released upon bacterial autolysis or killed by antibiotics, hence, many inflammatogenic reactions will be established leading to serious tissue damage. Aim : the present work aimed to elucidate the histopathological changes caused by prokaryotic (bacterial) DNA and eukaryotic (candidal) DNA. Materials and Methods : twenty one Staphylococcus aureus and 36 Candida albicans isolates were isolated from UTI patients. Viable cells and DNA of the highest antibiotic sensitive isolates were injected, intraurethraly, in mice. Results were evaluated via histopathological examination. Results: Mildest reactions were obtained from mice challenged with viable C. albicans compared with those challenged with viable S. aureus. Dose-dependent histological changes were observed for both eukaryotic and prokaryotic DNA. However, the eukaryotic C. albicans DNA developed less intense histological changes than S. aureus DNA. 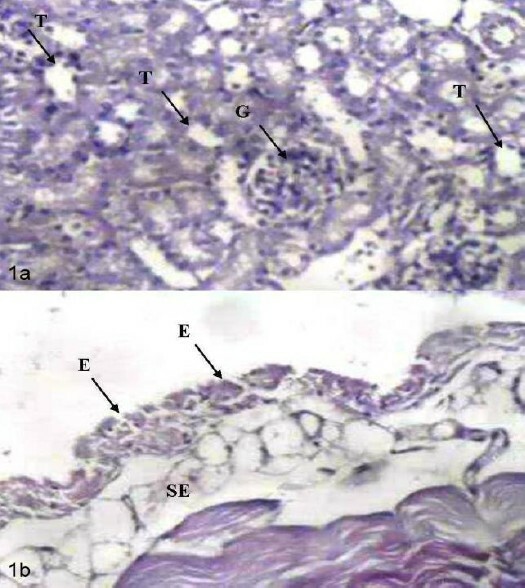 Conclusion: microbial DNA has the ability to cause damage in murine renal system. Nevertheless, bacterial DNA caused more intense damage than candidal DNA.